Around the world, women and girls continue to have a high risk of illness, injury, and death during pregnancy or childbirth. Despite numerous commitment to address issue that fuel this risk, health systems often do not prioritize maternal health and violation of women’s rights are common. Globally, 800 women die every day due to largely preventable complications during pregnancy and child birth- which amounted to an estimated 289,000 maternal death in 2010. Every day 16 women in Uganda die because of pregnancy related complications and the national MMR is 438/100,000 live births and 54 out of every 1,000 live born children die in infancy (DHS 2011). Women and children in Uganda are dying needlessly during child birth and after, as of 2011, Uganda is off track on these commitments. Uganda is one of ten countries globally which contribute the highest Maternal, Newborn and Child Mortality rate in the world. Particularly central to this problem is the current health worker gap, especially of midwives at community level health centers, to deliver the range of life saving interventions. Most maternal deaths are preventable, as the health-care solutions to prevent or manage complications are well known, all women need access to antenatal care in pregnancy, skilled care during childbirth, and support in the weeks after childbirth. It is particularly important that all births are attended by skilled health professionals, as timely management and treatment can make the difference between life and death for both the mother and the baby. 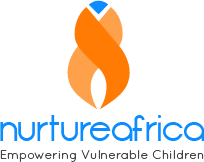 In order to assist the Government of Uganda, Nurture Africa aims to develop into a complete maternity unit according to best practice to stop women and children from dying needlessly during child birth. Women come to hospital too late and once at the hospital facilities are under resourced and provide inadequate care resulting in maternal and perinatal death. 1 in 5 teenage girls becomes pregnant adding to maternity risks (DHS 2011). Wakiso district has an HIV prevalence of over 10% indicating that the HIV epidemic is not yet over and subsequently access to and retention in EMTCT service is imminent. The maternal mortality rate in Uganda is 310/100,000 live births and the neonatal death rate is 23/1,000 live births (WHO 2012) with 16 women dying every day. Using the 3 phases of delay model. Inadequate decision making, mistrust in the Ugandan health system, inadequate infrastructure, lack of adequate medical resources, lack of qualified midwives and obstetricians and poor health training for specialized areas such as obstetric emergency care and neonatal care contribute towards women accessing health services too late and receiving inadequate care. Mulago hospital labour ward is among the biggest labour wards with over 30,000 deliveries per year, it has a huge capacity problem and new maternity hospital under construction will focus on 3rd line obstetric care. Unless the government of Uganda invests heavily in its systems or creates a more cost effective model, the maternal and neonatal mortality rates will not further improve despite the belief that intervention to reduce the problem are known. Retaining adequately trained staff. Health staff can be difficult to retain. Nurture Africa will ensure it will provide adequate training and other benefits to ensure staff are retained. Unless the Government of Uganda invests heavily in its health system or creates a more cost-effective model, the maternal and neonatal mortality rate will not improve. Therefore, to supplement Government of Uganda efforts, NA intends to develop a high quality and affordable maternal and child health care Centre with a holistic sustainable model that can be replicated across Uganda. NA aims to develop a High Quality and Comprehensive MCH service delivery in the first 1,000 days of a child’s life: from the beginning of pregnancy up to the child’s 2nd birthday.